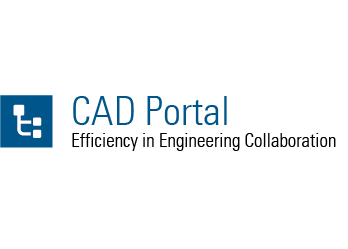 Karlsruhe – Apr-13-2018 – With release 3.3, PDTec improves and enhances the productivity of CAD Portal and provides new PDM-light functionality for the customer. CAD Portal efficiently processes native CAD data as well as data packages based on meta information to securely provide OEM-specific information in the project. Now, CAD Integration Client directly processes CAD data that is already loaded in the CAD system. The method for client-based import and export is also used by the newly developed module for data exchange with the Volkswagen system CONNECT™. This allows to work with versioned documents in CAD Portal and to deliver compliant data with all information required by the system. Optimized caching mechanisms for CAD data improve the system performance further. Displayed names of the tree views can be configured individually by type. More extensions and improvements are added to the check-out and search functionalities as well as the import and export of CAD data.